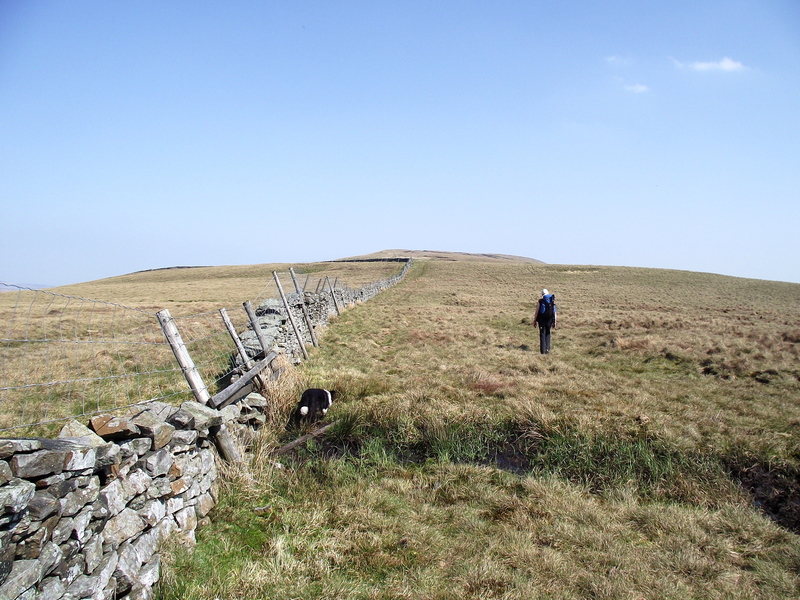 #23 – “Oh no, not another flippin’ Whernside”! 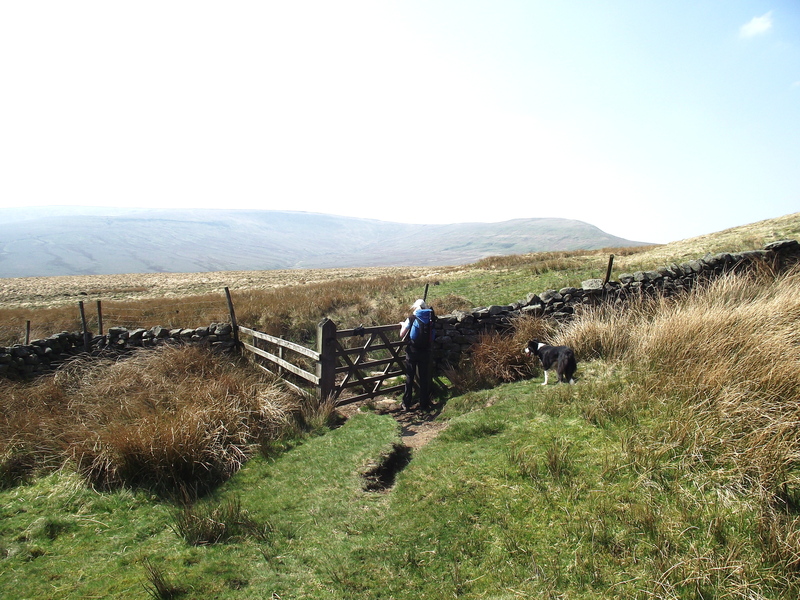 It may appear that there is a “Whernside” obsession here, but our walk this week was yet another Whernside. I had previously blogged our semi-epic over Great Whernside in the snow (#8 – Great Whernside …Underground, overground) but had failed to acknowledge the presence of its smaller relative, Little Whernside. Where we live it’s always easier to approach these hills from Wharfedale, but longer days and good weather suggested the Nidderdale side for a change, so Little Whernside was in the frame. Above Pateley Bridge the River Nidd has been captured and tamed to supply Bradford with drinking water, via the reservoirs of Gouthwaite, Scar House and Angram Not always that tame, though. Nidderdale has a well known cave system including Manchester Hole and Goyden Pot, and parts of the system are prone to sudden flooding. Accidents have occurred here in the past, including a tragic fatality in November 2005, when a 14 year old schoolboy was drowned – a contributory factor was the strong westerly winds sending waves over Scar House Dam. 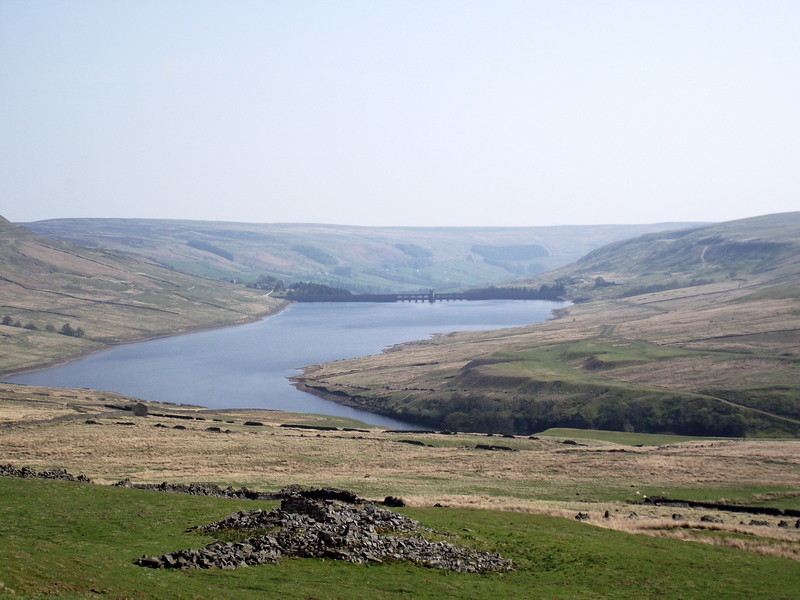 As we set off from Scar House Reservoir, flooding was the least likely event of the day, and both Scar House and Angram reservoirs were well topped-up, a legacy of the winter weather. Soon after we joined the bridleway to Kettlewell we had further evidence of the dry conditions – an adder basking in the sun by the path. Getting a good photograph without making ‘Mist’ curious was not easy – the thought of carrying a border collie weighing 18.5 kilos down to the car after being bitten didn’t bear thinking about! The bridleway gains height gradually, and in a civilised way, with no gasping for breath or halts to ‘admire the scenery’. At its high point the path creeps under the slopes of Black Dike End, the northerly point of the Great Whernside Ridge, but we turned away to head northeast up the final slopes of Little Whernside. The top of Little Whernside is virtually a plateau, so we didn’t really have views of anywhere until we started descending the east ridge. 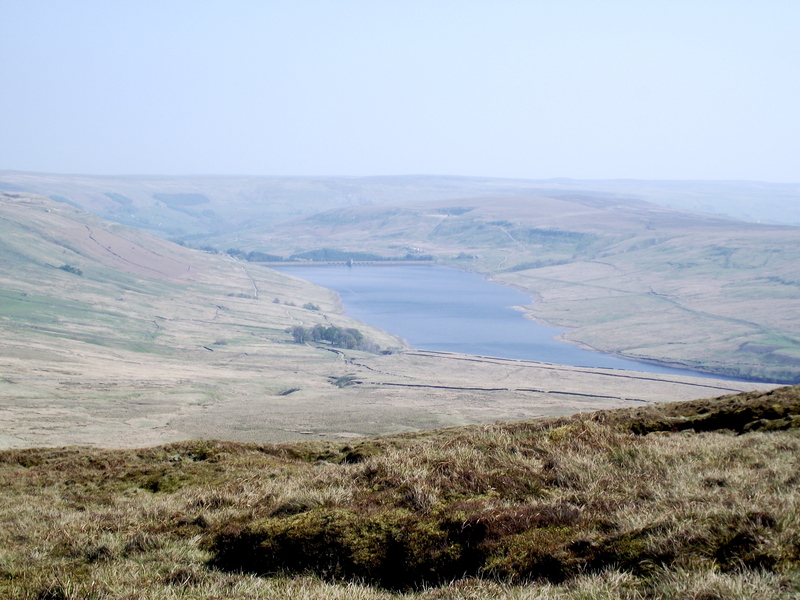 From there it was literally downhill all the way, and before long we had a view of our start point at Scar House Reservoir, and as we lost more height Angram reservoir came into view again. 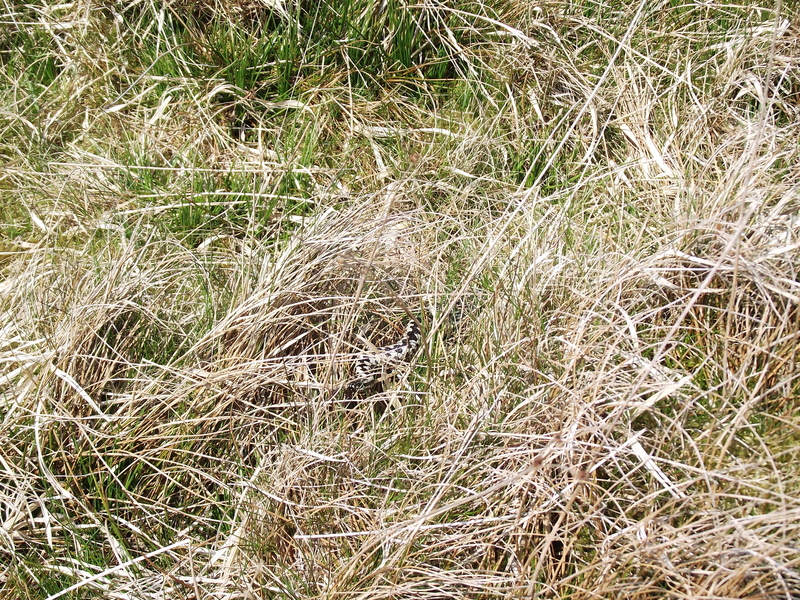 Apart from the sighting of the adder, the day was fairly unremarkable – a good walk out in summer conditions, with the peat bogs on Little Whernside quite dry. p.s. Just back from a great trip to North Wales, with a couple of good days in the Carneddau – trip report to follow, probably next week. This entry was posted in 3. 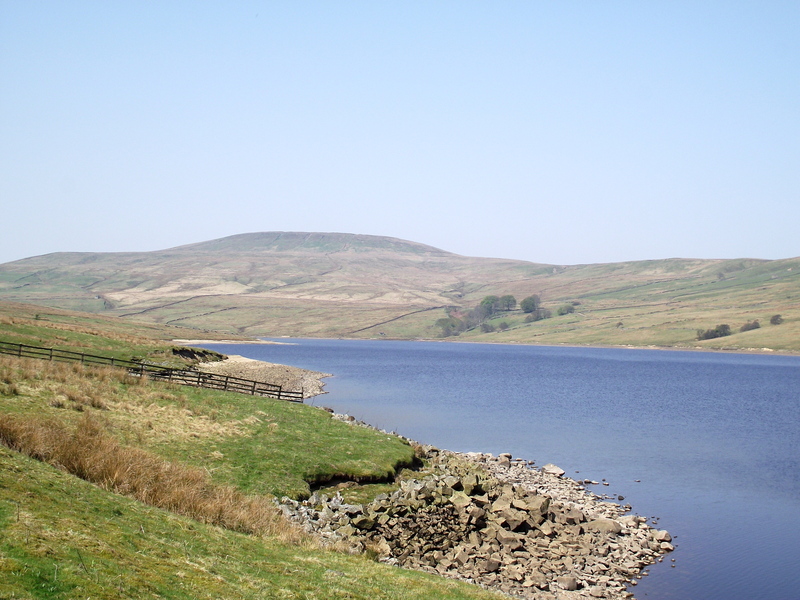 Yorkshire Dales and tagged Great Whernside, hillwalking, Little Whernside. Bookmark the permalink. 4 Responses to #23 – “Oh no, not another flippin’ Whernside”! Wow! I am very impressed by the adder. I’ve never seen one in the wild! It’s a few years since I’ve seen one, and never this far ‘oop north’, though there are probably quite a few around. 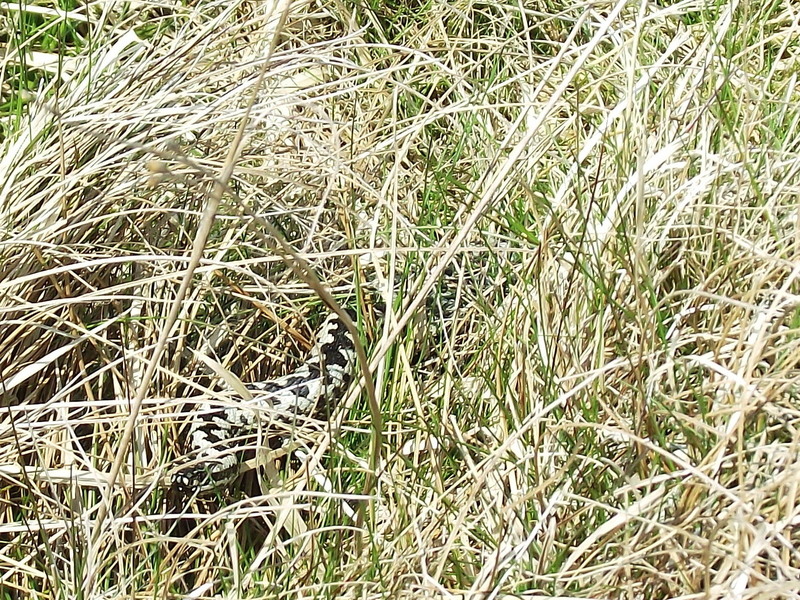 It was a warm day, and the adder was making the most of it, well until a couple of people with boots and an energetic dog came by! Hopefully it returned to a peaceful day in the sun when we had passed. The Manchester -Goyden-NewGoyden -Nidd Head cave system is quite unique. Developed mainly under sandstone covering with limestone only seen on few inliers. For some reason the cave has been developed by the river rather than the valley floor leaving large passages and chambers eg goyden streamway 5m wide and 20m high, Main chamber that could easily house local church! Also unusual in that as suggested floods by wind action alone on a full reservoir. We as a local caving club have steadily opening up unexplored passages and opening links between the caves. Thanks for visiting and for the comment Chris.